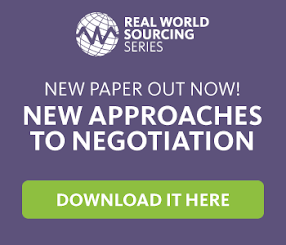 Strategic Sourcing: Spend Recovery Audits - Can you afford to ignore them? The reason is that the data required for a spend recovery project (transactional details from the purchase ledger) can also be used for a procurement based spend analysis project. Spend analysis in turn leads to deeper understanding of procurement patterns and where further cost savings opportunities may lie. Read more about spend recovery in BravoSolution and Twice2Much’s recent guide: Spend Recovery audits: Can you afford to ignore them? We would like to invite you to join us for a free lunchtime webinar on Accessing Spend Recovery audits through Government Procurement Service on Wednesday 25 September, please register here.